Bermuda 4u > Frequently Asked Questions > Which cruise ships sail from Baltimore to Bermuda? Which cruise ships sail from Baltimore to Bermuda? 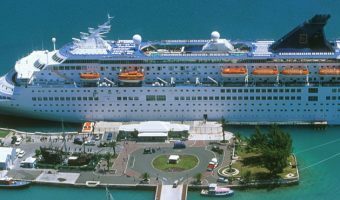 Throughout the 2018 season, regular cruises from Baltimore to Bermuda are available on Royal Caribbean International’s Grandeur of the Seas. The Grandeur of the Seas will make 18 calls to Bermuda – thirteen 5-night cruises to Bermuda , one 7-night cruise to Bermuda, and four 9-night cruises to Bermuda and the Bahamas. The ship departs Baltimore on Saturday at 4 pm and arrives in Bermuda (Heritage Wharf, Royal Naval Dockyard) on Monday at 1 pm. She leaves Bermuda on Tuesday at 2.30 pm and arrives back in Baltimore on Thursday at 7 am. 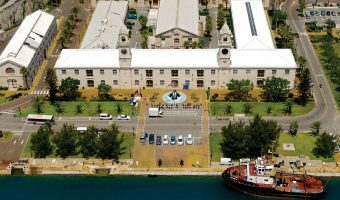 The ship departs from Baltimore on Thursday at 4 pm and arrives in Bermuda (Heritage Wharf, Royal Naval Dockyard) on Saturday at 2 pm. She departs on Sunday at 3 pm and then sails to the Bahamas (Nassau and CocoCay) before returning to Baltimore. The Grandeur of the Seas is one of Royal Caribbean’s International’s Vision-class cruise ships. A $48 million refurbishment was completed in 2012. Improvements and new features include new dining venues (Giovanni’s Table – Italian, Izumi – Asian, Chops Grille – steakhouse), the R Bar (replacing the Champagne Bar), an entertainment area, a refurbished Viking Crown Lounge, and a nursery for babies and toddlers. Guide to cruises. Includes schedules, departure ports, cruise lines, advantages and disadvantages, and information about shore excursions.